Getting a healthy amount of night sleep is vital to your overall well-being, but sometimes various noises make it hard to catch at least a few hours of zzzs. Whether you have a loud neighbor or your partner snores, or you live near a highway or the train station, a noise cancelling device will keep all the noises away. But do not worry! This guide will outline the best noise cancelling devices for sleeping, so you can finally get some solid shut-eye. We have researched and reviewed some noise cancelling devices and found out some of the best ones. Continue reading so you can finally get the good quality sleep you deserve. What Else Should I Do To Block Out Noises? What Are The Benefits Of Noise Cancelling Devices? Sleeping headbands are all the rage right now and no wonder so many people keep investing in them. The sleeping headbands are among the best noise cancelling devices for sleeping and relaxing and there’s a valid reason for it. Sleeping headbands essentially combined the best aspects of an eye mask with a high-quality headset built in. We recommend utilizing the SleepPhones Wireless Bluetooth Headphones, which have been created by a family doctor and feature a specific technology that blocks all outside noises, allowing you to finally get the sleep you deserve. 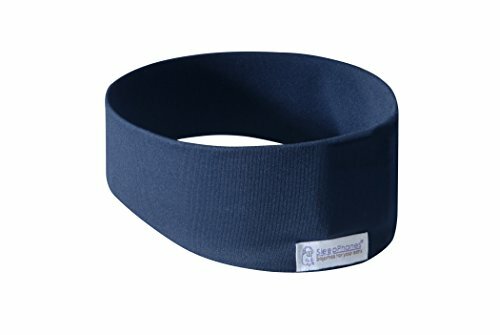 This sleeping headband comes in a variety of sizes and colors and is made of an eco-friendly, hypoallergenic, and breathable material. 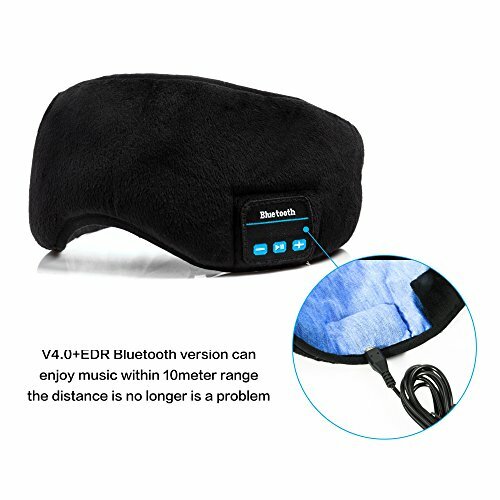 By utilizing Bluetooth, the headband is compatible with various MP3 players, smartphones, computers, iPods, noise machines, tablet, and many other devices from upwards of 30 feet away. Because the headband is so thin it provides a high level of comfort, even when you sleep on your side. If you have trouble falling asleep, the SleepPhones Wireless Bluetooth Headphones can definitely help you block out noises (and light!) for good. 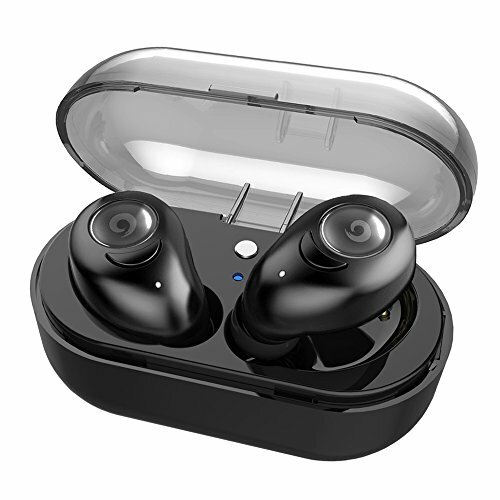 Beartwo Wireless Earbuds With Charging Case is one of the best noise cancelling devices available on the market today. No matter where you go, these earbuds will ensure a good night sleep even in the noisiest place. The earbuds feature the CVC 6.0 technology and the Bluetooth technology, providing not only the best sound quality but the perfect level of comfort. 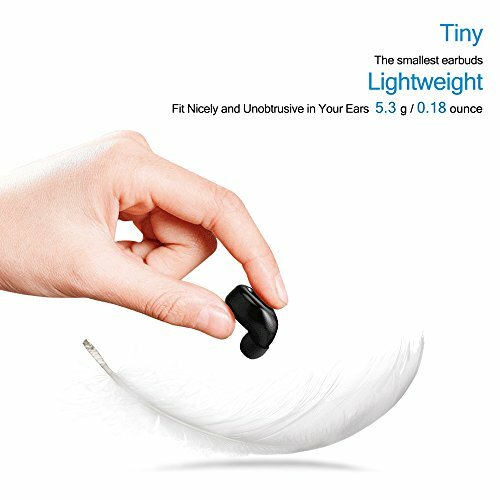 One of the perks of this noise cancelling device is that these earbuds are extremely thin and they will ideally fit almost any ear canal without causing any damage to this important organ. And whenever you want to turn on some music, you don’t have to worry about the surrounding noise disturbing your relaxing songs. Beartwo Wireless Earbuds will let you relax, sleep well, or block out the noises surrounding you. LectroFan High Fidelity White Noise Machine is a phenomenal option if you are looking for a way to block out noise while you sleep. White noise works by creating a steady and unintrusive sound, which the mind can process and handle without disturbance. This sound helps block out random background noises, allowing you to fall asleep and helps preventing you from waking up. 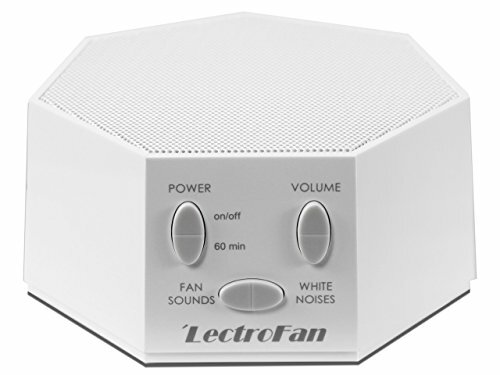 The LectroFan High Fidelity White Noise Machine comes with 20 unique sounds that can be tweaked to your preferences and allows for you to set the sound as quiet or as loud as you prefer. We highly recommend utilizing this white noise machine to block out the noises and sounds that are disturbing your sleep. If you’re looking for a truly effective noise cancelling device for sound sleep and the options mentioned above don’t work for you, try the Lavince Bluetooth Sleeping Eye Mask Headphones. Not only do they help to block all the noises, but also all the lights that usually affect the quality of sleep. Instead of using an eye mask and earbuds separately, you can just invest in these Lavince Bluetooth Sleeping Eye Mask Headphones and enjoy great sleep by thoroughly blocking out the noises that keep you awake at night. The headphones feature the Bluetooth technology and ensure a sound sleep free of the noises and light. 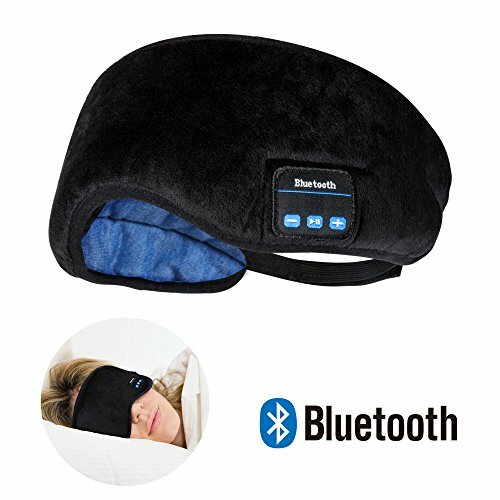 Lavince Bluetooth Sleeping Eye Mask Headphones utilizes velcro, allowing you to adjust to all different sized faces easily. The headphones are connected with an ultra-thin wire located inside the headband, making it incredibly comfortable. You can place it on your ears to enhance comfort. The headphones are also washable so if you think you need to wash your eye mask, you can just carefully remove the electronics before placing it in the wash.
Made of comfortable and high-quality materials, Crioxen High Fidelity Earplugs will allow to easily block out any noises that are distracting you while you sleep. With a hearing attenuation of 25dB, these earplugs are good for people living in megalopolis or working in the nosy, industrial places. The extra noise reduction provides the pro-level silence, helping you keep the outside noises quiet at night. The earplugs are comfortable and soft, which makes them ideal for sound sleep, even when you travel. Crioxen High Fidelity Earplugs fit securely and snugly in the ears and constructed to lower the noise level without muffling. 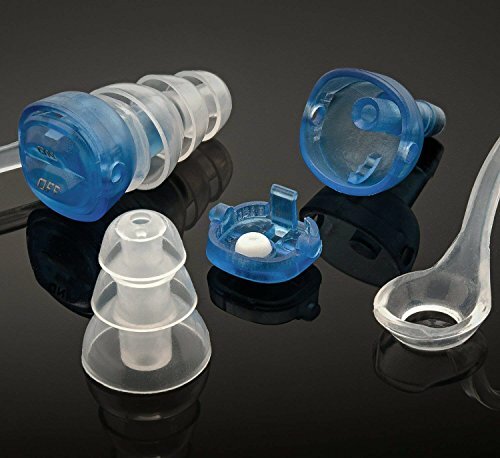 The earplugs are reusable and they can serve you for over a year and they can even ward off the hearing loss caused by loud noises. Additionally, this set comes with an additional 21dB set, that can be used to protect your hearing when listening to loud music or traveling. If the noises that are keeping you up at night are caused by a controllable source, such as snoring, do your best to treat the underlying cause. However, this may not be possible for all people. There are also things you can to help you sleep better, so you do not get woken up as easily. Cut down on coffee and other drinks with caffeine, since these can prevent you from falling asleep easily. Exercise for at least thirty minutes each day. Consider trying a variety of herbal teas, which have been shown to have positive effects on sleep. Additionally, you can try using a weighted blanket, which can help you fall and stay asleep faster. If you think noise cancelling devices for sleep only, think again. You can use these devices while working or traveling, or when you live in a noisy house. The primary goal of the devices is to provide a quiet environment for relaxation and sleep. Most noise cancelling devices are portable so you can grab them along no matter where you go so that you could block outside noises any time you wish. 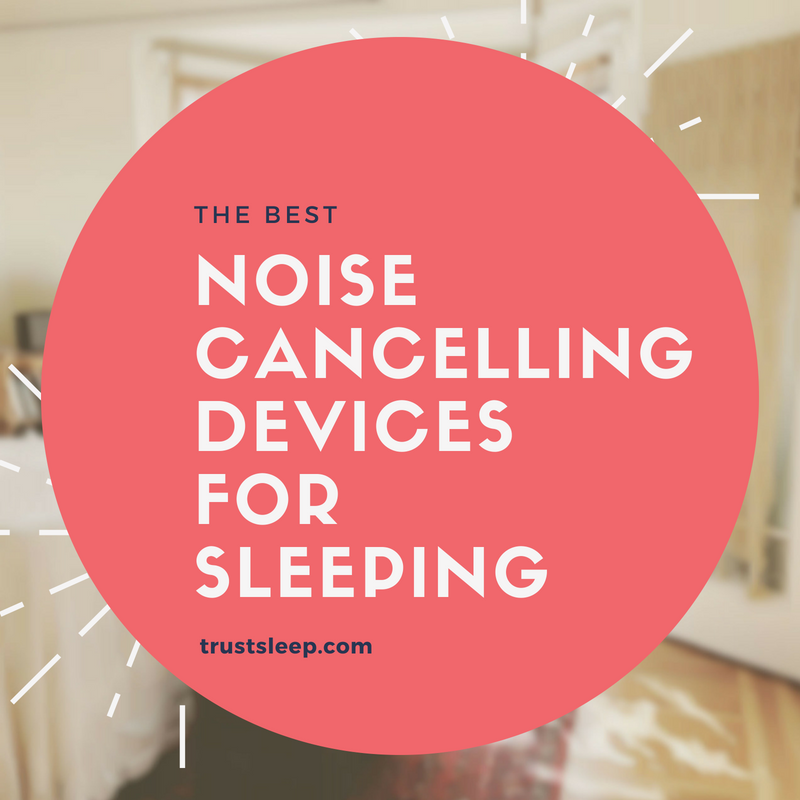 Here you have it – our top choices when it comes to picking the most effective noise cancelling devices for better sleep. Sure, each device has its perks and drawbacks, but in most cases, they work wonders when you need to fall asleep faster and stay asleep in a noisy place. However, if you’re suffering from insomnia, don’t expect these devices to help you fight the disorder.